AIM: The “God’s Glory, our Joy” conference was first held in 2000. 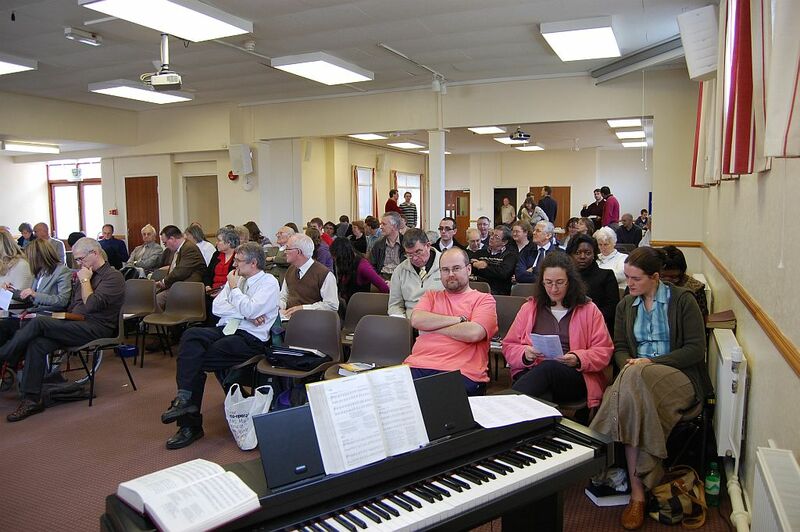 It aims to build biblical churches by stimulating thought, prayer and discussion in our churches, and to promote a true godliness according to biblical patterns. It is a conference for all christians and not just church leaders (except for the Friday sessions). ORGANISING COMMITTEE: The men on the organising committee are all pastors serving their local churches in North West England. COST: There is no fee for attending the conference, but any contributions towards expenses would be greatly appreciated. BOOKS: There will be a bookstall selling books relevant to the theme of the conference. FAMILIES: There is ample space for families with children in the church building. One room will be designated a ‘play area’ where children can play as long as they are supervised. In addition there will be a ‘link room’ where the messages will be transmitted, and parents with small children can listen to the preaching. CATERING: Tea and coffee will be available during the breaks on Saturday, without charge. Packed meals may be eaten on the premises. There are several fast food outlets within easy reach of the church building.